Introducing the brand new WAVE rug. 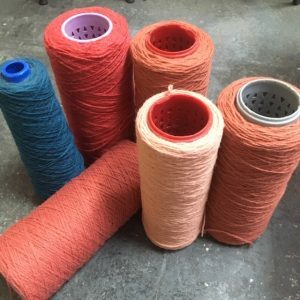 For lovers of colour, textiles and quality British Craft. 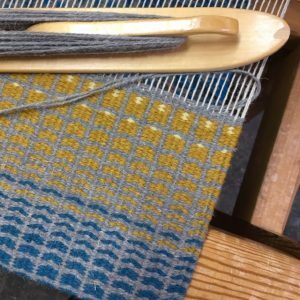 Handwoven in my Bristol studio, this exclusive piece of contemporary craft brings a dash of colour and warmth to modern and traditional interiors. 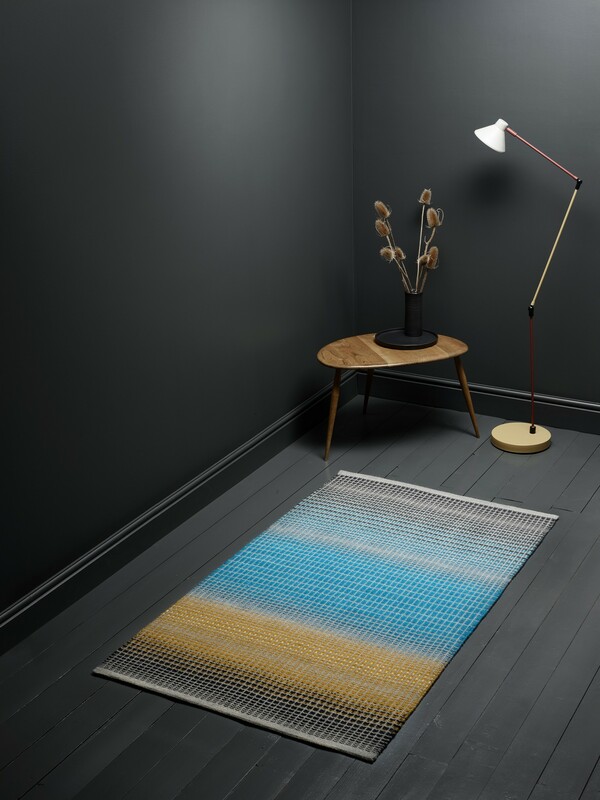 This bespoke Krokbragd rug is currently on show at Devon Guild of Craftsmen until 03 March. Does ‘Living Coral’ the Pantone Colour of the Year inspire you? To help with decision making I post yarn samples and sketch up designs until everyone is happy that we’ve created the perfect rug. 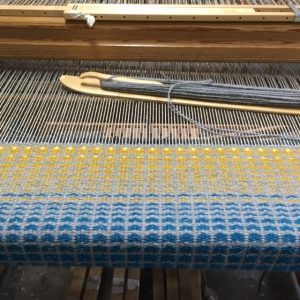 I trained in rug weaving almost 25 years ago and specialised in Krokbragd; a traditional Scandinavian technique. To create the distinctive patterns of Krokbragd (pronounced Kruuk-bra-g-ed), I pass the shuttle three times to create each solid row of colour. It’s a slow technique, but the finish is exquisite, durable and long lasting. With proper care, these rugs will last a lifetime. The rug is woven using a specific linen for the warp and Axminster rug wool (80% wool/20% nylon) for the weft. The nylon blend offers resistance to stains and moths, and you care for the rug in a similar way to a quality carpet. Of course, you might choose to hang it on the wall using an easy to fix baton. Knowing the maker of your rug gives you 100% reassurance that your investment was created ethically. But doesn’t that mean it costs a fortune? You’ll be surprised! I’ve simplified the process for commissioning my bespoke rugs to keep the production time realistic, and only charge what you would expect to pay any skilled worker. 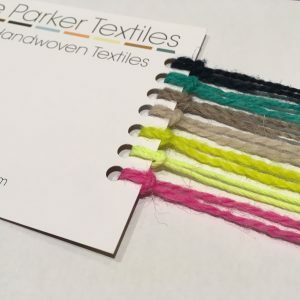 I have a limited amount of time scheduled to weave these rugs in 2019, and the order book is now open. Drop me a line for prices, current lead times, any additional questions and to reserve your slot on my loom.